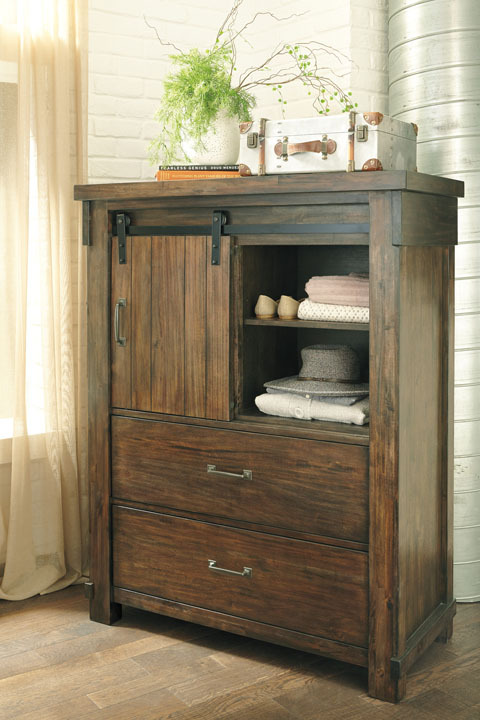 Made with Acacia veneers and select hardwood solids and finished in a dark brown color with a hint of a light industrial gray wash. Modern craftsman touches with the thru-tenon look throughout and generous scaling of the cases and pilasters. 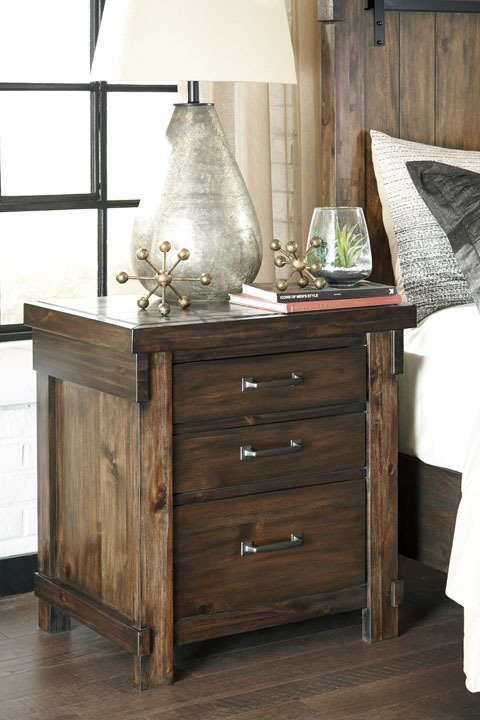 Bed features a chunky panel look with faux barn door panels with accenting metal hardware. Planked effect on the headboard and footboard. Cases feature planked tops and raised center panel. 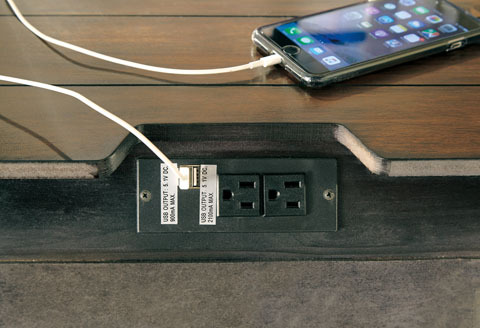 Night stand features an AC power supply with (2) USB charging ports. Fully finished English dovetailed drawer boxes with ball bearing side glides. Hardware is an industrial bar pull with square back plates with a darkened zinc color finish. The B718-154/-156/-157/-158 bed design features a cantilevered bench incorporated into the footboard and a cross-buck panel headboard. 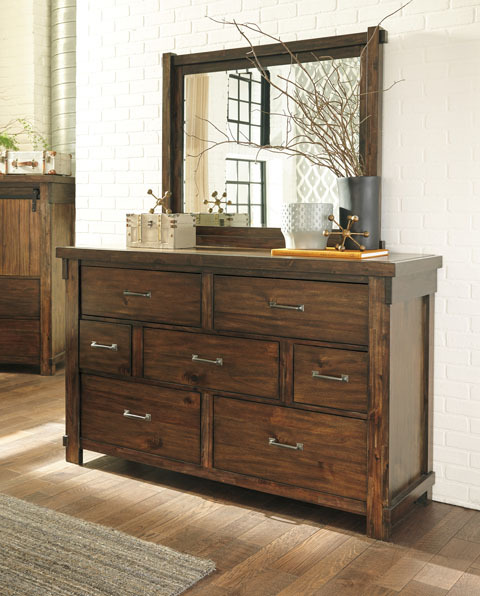 Of all the furniture stores in Sevierville, TN , Ogle Furniture has the best selection of the SIGNATURE ASHLEY-ITEM SERIES #:B718 BEDROOM SET. This item may also come in various sizes, styles, or colors. Please ask one of our representatives if we have the specific color/style you are looking for.